Eltronicschool. - In this time, we will give you information about the article with the title 'Free driver software extends STM32 embedded application flexibility' that wrote by Graham Prophet. 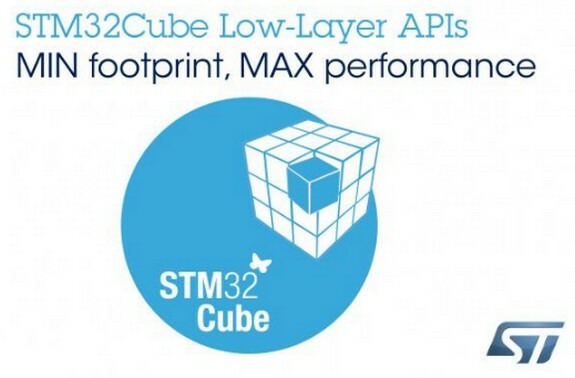 STMicroelectronics has added to its 32-bit microcontroller development ecosystem with the introduction of the STM32Cube Low-Layer Application Program Interface (LL API) software. LL APIs enable expert designers using the STM32 ARM Cortex-M microcontrollers to work closer to the hardware, down to register-level code, to optimize performance and run-time efficiency. With the introduction of the LL APIs, the STM32Cube environment now offers designers complete flexibility in controlling device peripherals - from portable HALs (Hardware Abstraction Layer) to the highly optimized LL APIs - allowing engineers to focus on their application using validated ST software. The LL APIs are integrated into the STM32Cube packages with example projects designed to run on STM32 Nucleo development boards: examples can be ported to other STM32 boards. The LL APIs can be used in parallel with the corresponding HALs in the same project (HALs and LL APIs can't be simultaneously used for concurrent processes on the same peripheral), giving designers full flexibility in determining the optimum trade-off between time-to-market, software footprint, and run-time efficiency. Now you can read more the article with the title Free driver software extends STM32 embedded application flexibility by Graham Prophet using link here.